This aspect will be influenced by a sudden strong stroke of good fortune. This good fortune will be unpredictable and will last only a short time. It will bring with it good health, happiness and success. 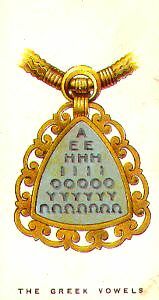 This talisman was a great favorite in olden times, and was composed of the Seven Vowels of the Greek Alphabet. The desired favours were supposed to be granted upon the correct utterance of the forty-nine different sounds of the Seven Vowels, each vowel having seven distinct methods of expression. Of the many benefits supposed to be conferred were – good health, happiness, wisdom, fortune, foresight, success in all undertakings, complete protection from moral, as well as physical ills, and control over the powers of darkness. The ancients thought that there was an affinity between the seven vowels and the seven planets which they believed kept this earth in existence. Posted on February 21, 2014 by ladyoftheabyssPosted in Articles, Daily PostsTagged English language, Gascony, Greek Alphabet, Greek Vowels, Languages, Linguistics, Natural, Social Sciences, Vowel. Start where you are, and do what you can. Make use of what you have, in the time available to you, and there’s much you can get done. Don’t waste your time waiting for conditions to be perfect, for they will never be. Go ahead, with things as they are, and begin making real progress. Posted on December 30, 2013 by ladyoftheabyssPosted in Articles, Daily PostsTagged Forth, Languages, Legend of Zelda: Skyward Sword, Marston, Programming, Pub, Santa Fe New Mexico, Treasure. 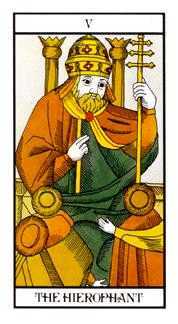 Altar: Upon a bare table lay a large pot shaped like a human figure, reclining, filled with earth. All should enter bearing two white cloths, one on each arm. And we can do nothing but wait. Until the light waxes and the time comes again. No matter how we cry out. And this is not the time for movement. In silence, and wait for your awakening. Posted on December 12, 2013 by ladyoftheabyssPosted in Articles, Daily PostsTagged Astronomy, Earth, Earth Altar, Languages, Programming, Sun, Sun Bruma, Textile, Venus, White and brown, Winter. Do what thou wilt is the Whole of the Law The time of The Will Bursts forth Now, in the Spring Implacable bud! To soar with on Her Wings into New Heavens Over pure New Earths Love is Will purified Love is Her own Law! Posted on December 11, 2013 by ladyoftheabyssPosted in Articles, Daily PostsTagged Arianism, Arizona, Born Again, Earth, Forth, God, Holy Spirit, Jesus, Kellen Clemens, Languages, Love Is The Law Do what thou wilt, Poetry, Programming, Spring Implacable, Tyrann Mathieu. Altar: Upon cloth of snowy white place many snowflakes, silver branches, a cup of clear alcohol in which has been placed a piece of dry ice to give off mist, and a knife of glass. Offerings: Spend time in the cold, enduring her kiss. Hail to the Snow Queen, Lady Winter! We hail you, Heart of Ice, in this your season! The one who tests us, and our skill. And gathered to your deathly white bosom. Have mercy on us, Lady of the Snow! And teach us with a lesson less than fatal. Posted on December 11, 2013 by ladyoftheabyssPosted in Articles, Daily PostsTagged Australia, Business, Languages, Race and ethnicity in the United States Census, Snow, Snow and Ski Forecasts, snowy white place, Sun, Weather. Posted on December 2, 2013 by ladyoftheabyssPosted in Articles, Daily PostsTagged Chant, Earth, Earth Altar, Languages, Meditation, Programming, Race and ethnicity in the United States Census, Sun Bruma, Textile, White and brown, Winter. Communication with the spirits is easiest at this time, for the veil between our world and theirs is very thin. It is a time to reflect on our ancestors and those who we have lost. 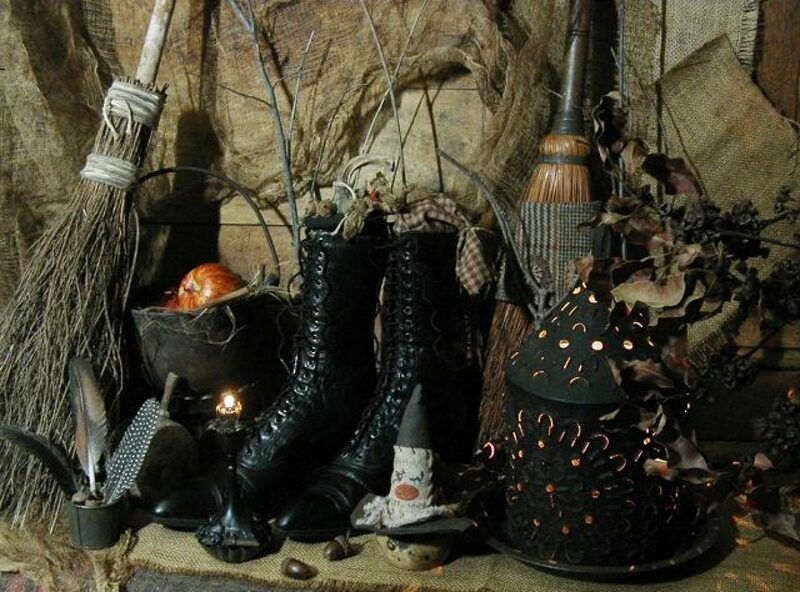 For the Witch, it is a holiday where we honor our dead friends, relatives, ancestors, and even pets who have passed on. We remember them by putting an extra plate at the dinner table for them. Along the north wall of the dining room there is a small table prepared as an unobtrusive altar, and without preamble or fuss each person places there some small token or photograph of their dearly departed, some person or being whose memory or influence in their life still means something to them. Each person quietly lights a candle for his or her various dead, and then they bow their heads in a moment of silence. Memories spill forth and emotions run deep. When it is time a bell is softly chimed and all stand. A shared moment of silence is observed, and then everyone takes a turn making a toast to his or her chosen ancestor. The bell is sounded once more and everyone takes his or her place at the dining room table to partake of a feast enjoyed. In silence, each guest communing with their own spirits and remembrances. We honor our ancestors at Samhain as they have honored us in the days before we were born. And as they shall honor us in the nights ahead when we eventually cross the river to take up our place beside those who have gone before into the greatest Mystery of all. Posted on October 31, 2013 by ladyoftheabyssPosted in Articles, Daily Posts, The SabbatsTagged Ancestor, Ancestors, Beltane, Day of the Dead, Feast of the Dead, Forth, Halloween, Languages, Programming, Samhain. Altar: Upon a red cloth place the figure of a white horse, two white candles, several gold rings, a cup of mead, and the tools of blacksmithing. Daily Meal: Soup and bread. And kept him prisoner for a king’s avarice. And against greed and cruelty he wrought his vengeance. Gaping maw, and he laid them low with a hammer. As those of his lost swan-maiden. Of generosity and the open hand. Straight and true once again. Posted on October 11, 2013 by ladyoftheabyssPosted in Articles, Daily PostsTagged gold rings, Languages, Phoronix, Programming, Red and White Element, Shopping, Smith, Swan maiden, Wayland, Wayland Invocation, Wayland the Smith, Wayland the Smith Colors.